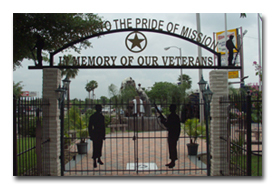 Bordering McAllen to the west is Mission, Texas as part of the McAllen MSA. The population was 45,408 at the 2000 census. 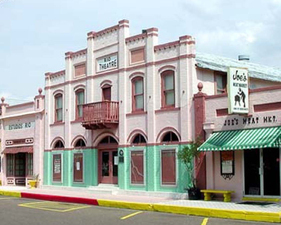 Because of its proximity, Mission shares much of the economic growth that McAllen enjoys. Mission is home to a Frito-Lay, Inc. manufacturing plant and a Vanity Fair Intimates distribution center and the Mission Economic Development Authority promotes development in the area. The earliest settlers of the Mission-area were the Native American Coahuiltecans, which is a name that refers to the indigenous people of 200 tribes along both sides of the Rio Grande River from the mouth of the Pecos River to the Gulf of Mexico. These people practiced the same way of life for more than a thousand years, using natural resources in the area for food, clothing, and shelter. During the mid-eighteenth century, Spanish colonization brought foreign diseases to the area, which killed off much of the Coahuiltecan population; those that did survive remained dependent on the Spanish missions that were built. Over 200 years ago, the Spanish settled the vast area stretching from the Panuco River in Tampico, Mexico to present-day Corpus Christi, Texas. In 1762, King Carlos III of Spain ordered a just and equal division of the territory, and in this process, porciones (portions) of land were established. Each porcion of land stretched approximately 2/3 mile a along the bank of the Rio Bravo or Rio Grande River, the only ample water source and proceeded 11 to 16 miles inland. Porciones 55 and 57 were the location of Rancho La Lomita, site of the historic La Lomita Chapel, after which the City of Mission was named. Written records demonstrate that the site known as La Lomita was granted to Captain Cantu of Reynosa by a Spanish grant in 1767. The land was eventually sold to Rene Guyard, who in 1871 left the land to the Missionary Oblates of Mary. In 1906, the Oblate Fathers sold the land, 15,774 acres for $6.00 per acre, to John J. Conway and J.W. Hoit, who established the Rancho La Lomita Land Company. Between 1906 and 1908, most of the area's activities centered around the La Lomita area. In 1908, the Missouri Pacific Railroad established a railway station near the center of the new development, four miles north of the mission. 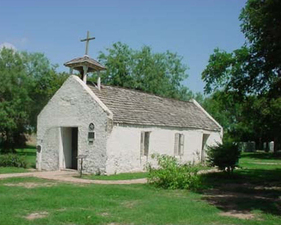 That same year, the City of Mission, Texas was founded; Mrs. Ann Voltz, who lived in the Madero area, suggested that the new town be named Mission after the La Lomita Mission. Since 1908, the City of Mission has grown from a railroad stop to a thriving city with a population approaching 50,000. It was in this area that citrus was first planted in the Rio Grande Valley. The citrus industry is now a multi-million dollar business, which is celebrated annually with a gala Citrus Fiesta. Former U.S. Senator and Treasury Secretary Lloyd Bentsen and former U.S. Congressman and Agriculture Secretary Kika de la Garza are not the first well-known politicians to make Mission their home. Nebraska politician and three-time Democratic presidential nominee William Jennings Bryan was one of the first to buy a plot of land from Conway and Hoit and built his winter home in Mission. Mission was also the childhood home of long-time Dallas Cowboys coach Tom Landry, the hometown of Mexican Baseball Hall of Famer Leo �Najo� Alaniz, and was a second home to Gov. Allan Shivers during the 1950s. The Mission area is immortalized in Larry McMurtry's novel and miniseries Lonesome Dove . The historic La Lomita Mission still stands and is visited regularly each year by tourists and residents, and the multi-million dollar citrus industry is celebrated annually with the gala Texas Citrus Fiesta, attracting participants from both sides of the Rio Grande. Mission is a city that is quickly growing but that has not forgotten its interesting and important history. Mission is proud of all its natives that have excelled and become productive citizens. Some have remained in Mission while others have gone on to fulfill their dreams away from Mission. These "hometown boys who have made good" in a big way, even achieving "celebrity" status along the way, have all been proud to call Mission home - and so are we! John H. Shary came to the Valley in 1912. While there was a small local market for the citrus fruit, no one had realized its potential for mass production as a commercial crop. It was Shary who foresaw this development. He had the means to begin production of citrus on a large scale and did so. He purchased 16,000 acres of brush-land and named it Sharyland. Valley citrus is now shipped all over the United States and several foreign countries, and John Shary is recognized as the father of the Texas citrus industry. John Shary was a benefactor of the Sharyland Independent School District, which proudly bears his name. He built a beautiful home on FM 494 (now Shary Road) to which many dignitaries were invited. Mr. and Mrs. Shary's daughter married Allen Shivers, a governor of Texas. E. (KIKA) De La Garza was born in Mercedes but attended school in Mission before becoming a student at Edinburg Junior College (now the University of Texas Pan-American). He graduated from St. Mary's University. He was elected to the Texas House of Representatives, serving six consecutive terms, before his election to the United State House of Representatives, where he continued to serve until his retirement in 1996. So, come to Historical Mission and be sure to visit our national birding center!